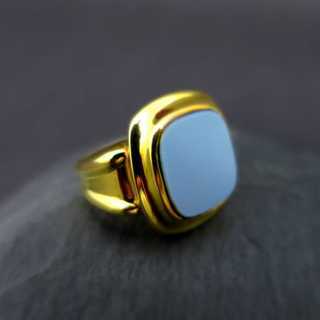 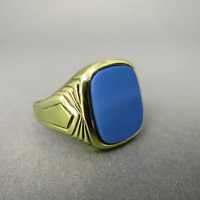 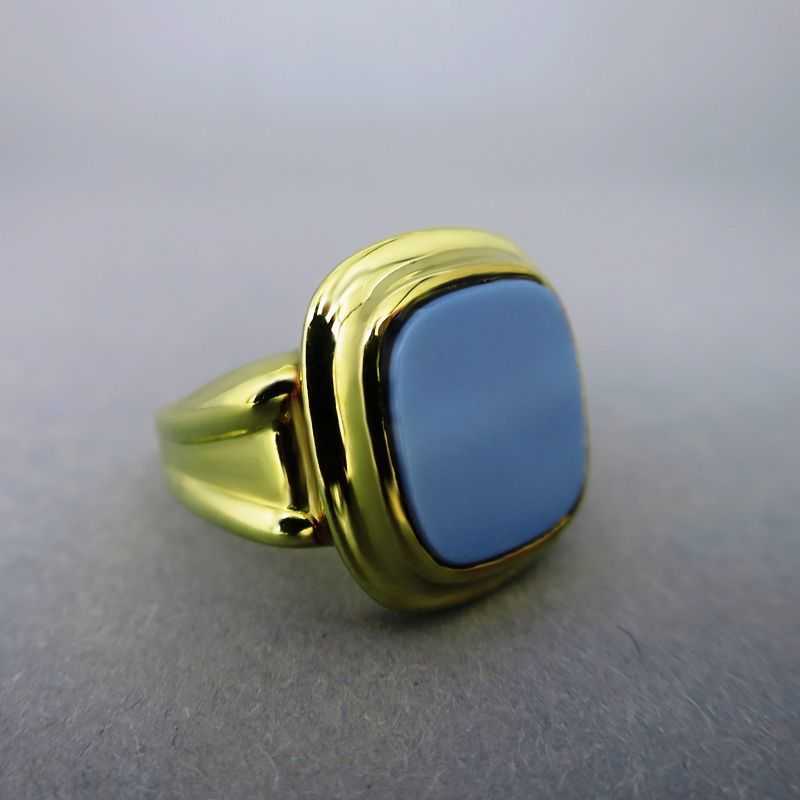 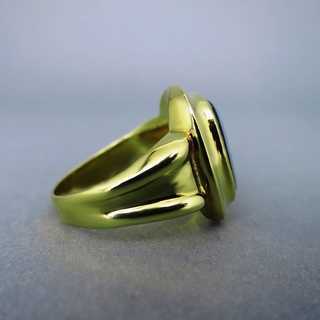 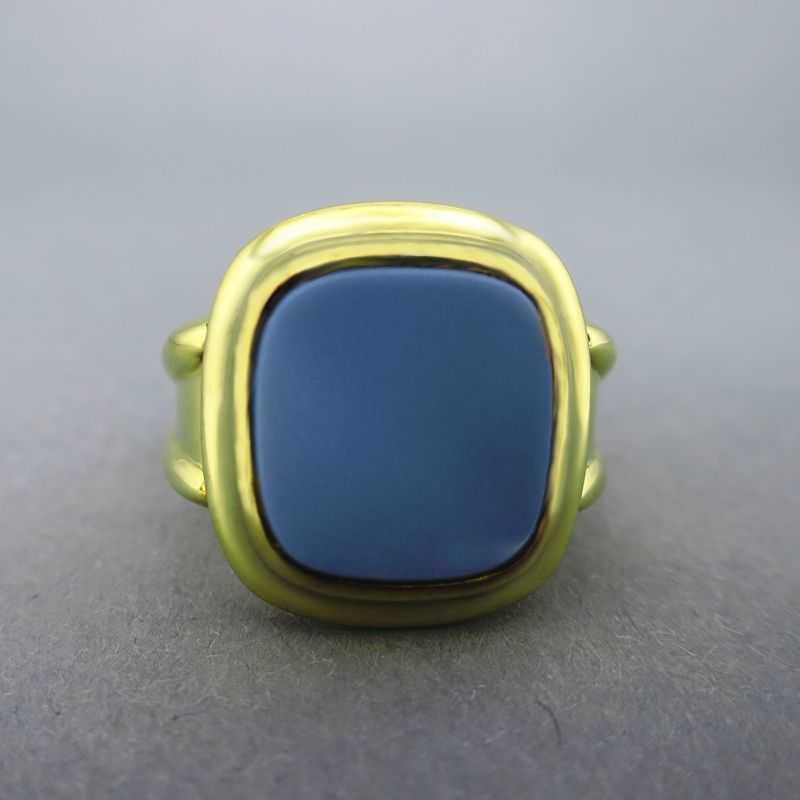 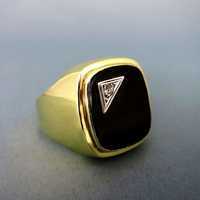 Wonderful mens signet ring with not yet engraved stone. 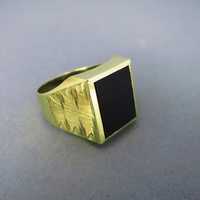 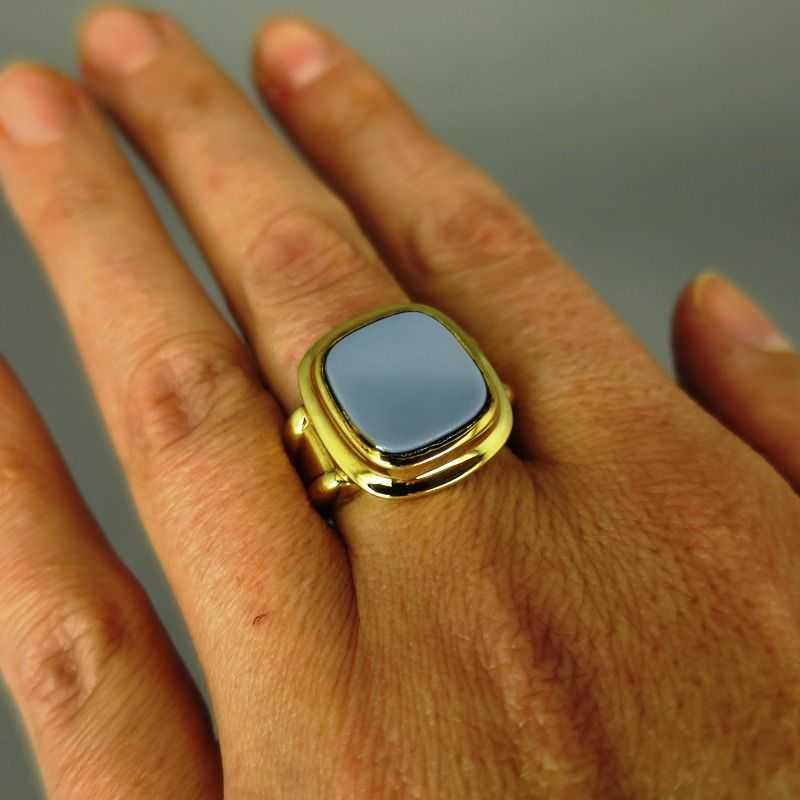 Square layer onyx slice with rounded corners, mounted in stepped bezel setting. 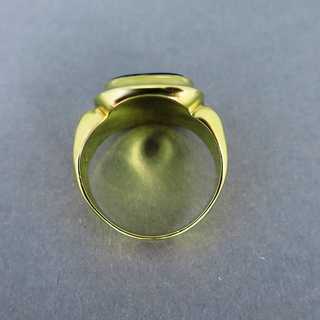 Wide, gradual ring hoop with lengtwise contoured rim. 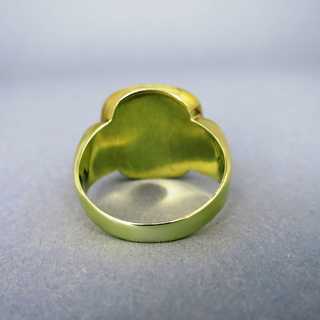 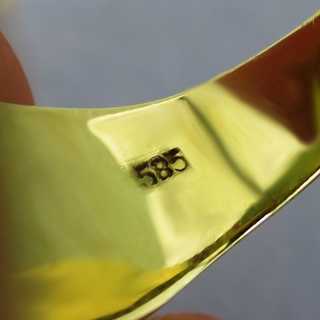 Back side of the head of the ring closed.